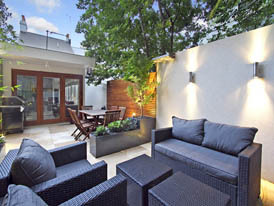 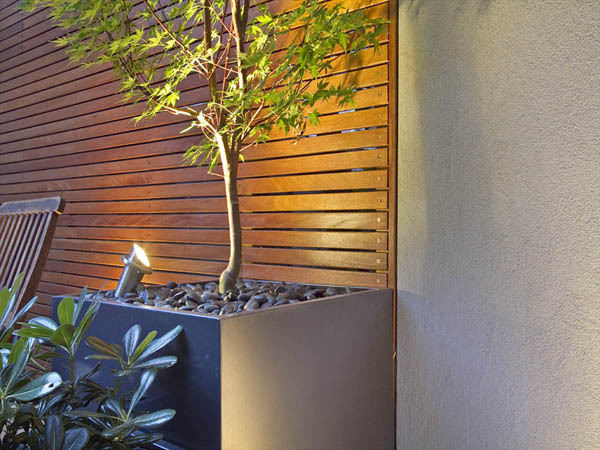 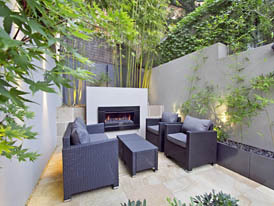 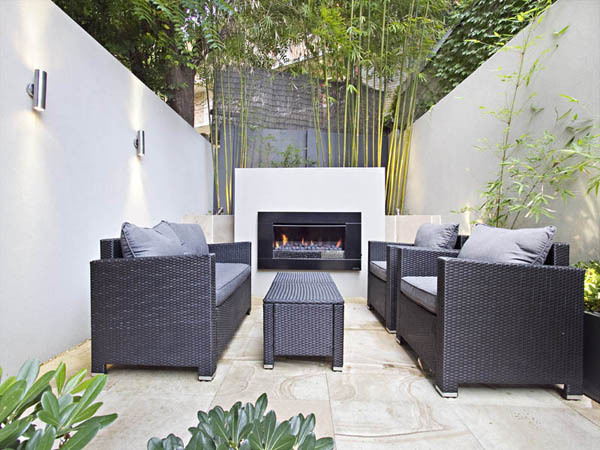 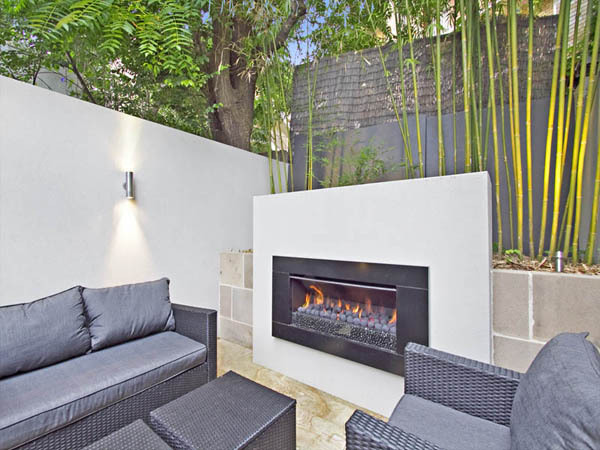 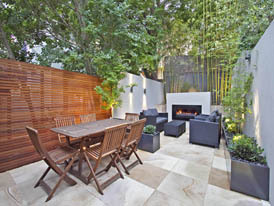 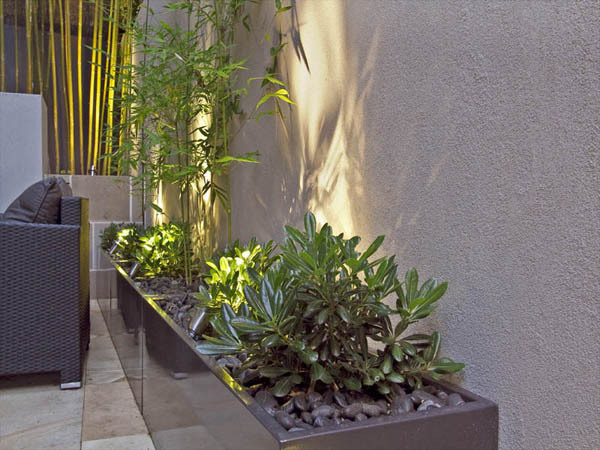 This simple and stylish garden in Paddington is of high quality throughout. The use of Australian Sandstone for the flooring and retaining walls adds a beautiful softness to the garden and ehoes the age of the property. The remainder is quite cutting edge from the custom made planter boxes and rendered walls to the in-built fireplace. This mix of materials is quite unusual but works very well. 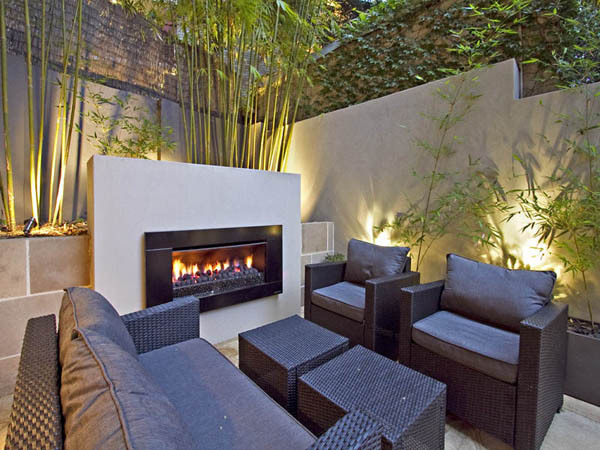 The fireplace is clearly the main feature of the garden and really looks the part as well as of course supplying a heating source for those colder evenings. 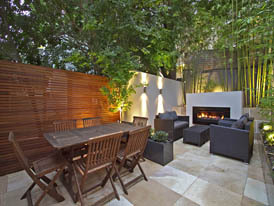 A real success and a very enjoyable project to design and construct.